Are your email campaigns mobile friendly? For too many marketers, the answer is a resounding no. Even if you have taken some steps to make your email marketing mobile friendly, due to the ever increasing adoption and reliance on mobile devices, if your marketing fails to adapt to mobile usage you risk losing business to your competition. According to ComScore, 145 million people in the United States own smartphones. That means that roughly 2/3rds of America own a smartphone. When you combine that statistic with the ever faster pace of life for most people, the majority of their lives are on the go and convenience and accessibility are top priorities. The bottom line is that if time waits for no man, than businesses should not expect their customers to wait either. If you send out an email with a promotion and your customer wants to buy your offer but can’t do so on a smartphone, you probably lost that sale. A new study by IDC called “Always Connected” reports that email is the most common activity that people use their smartphones for. It’s not Angry Birds, or Facebook, or web surfing. In fact, 78 percent of respondents say they use their phones to check email versus 70 percent who connect to Facebook. And those statistics hold true across the 18 to 44 year olds, men and women, and different smartphone platforms like iPhone and Android. When you look around at Starbucks, or at drivers in cars around you, or in meetings and even on airplanes, it’s ubiquitous to see people engrossed with the screen on their smartphone or tablet. These mobile devices are occupying people’s attention far more than laptops or desktop computers for obvious reasons. People are adapting to the fast pace of modern life by staying connected wherever they go at all hours of the day and night. 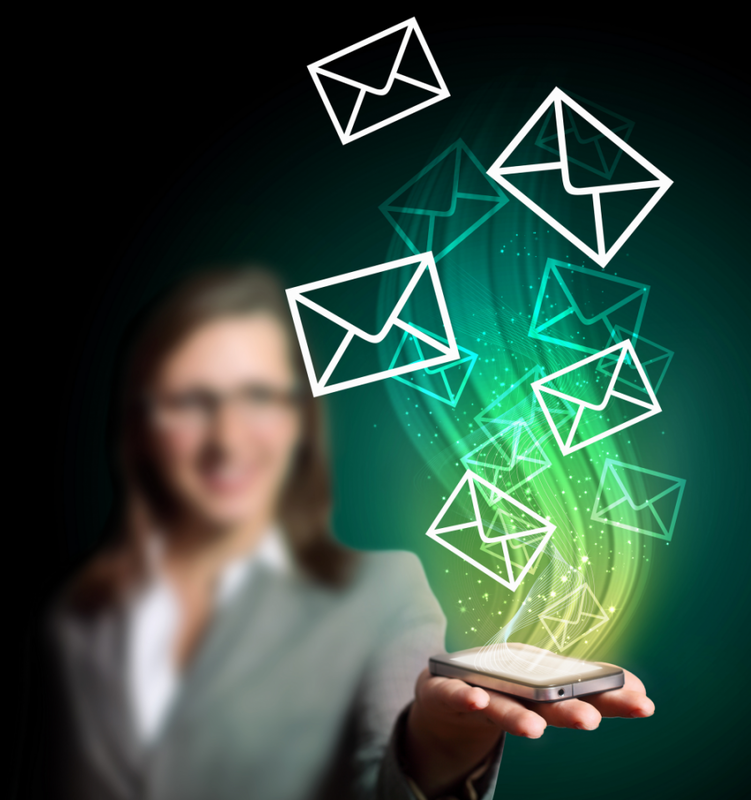 Has your email marketing adapted to mobile? The good news is that consumers ARE using their mobile devices to check email. It would be a whole different problem if they were simply no longer using email as part of their mobile lifestyle. However, if your email is not mobile friendly the news is pretty grim. A Knotice report revealed that just 2 percent of consumers opened messages on more than one device. What that suggests is that if you fail to capture your subscriber’s attention on their mobile device, 98% won’t bother to open that email again at a computer. From now on, it’s best to prepare for the new mobile reality by assuming you have one shot to get our subscriber’s attention with your email. It’d better be easy for them to engage on their mobile device because in today’s world if something doesn’t happen instantly and on demand, it doesn’t happen at all. 1) Design: Is your email design easy to read on a mobile device? Unlike the not so distant past, now the majority of mobile users have images turned on by default. It’s crucial that any images or other HTML you use in your design looks good on a mobile device as well as a computer with a larger screen. It’s always been a good idea to test how your designs look in different web browser, now you’ll want to test the same on mobile devices, too. You want to use what’s known as a Responsive Email Design (RED). You will want to check with your email service provider to see what templates and tools you or your designer has to work with. 2) Readability: This is of course related to design, but the layout and text of your email needs to be readable on a screen that is far smaller than a typical computer or laptop. Styles such as reverse print or difficult to read font styles should be avoided if they are not adapted to be readable on a mobile device. Further, emails that have large blocks of text can be hard to read on a small screen. What would look like a small paragraph on a full size screen will look far less easy to read when condensed onto a 3 or 5 inch screen. Consider writing so that most paragraphs are one or two sentences at the most and that sentences are also short, too. You may also find that writing shorter emails so there is less for your subscriber to have to read can increase conversions. Another often overlooked readability factor for emails on mobile devices is the subject line and your snippet text (or preheader). Is your subject line too long to be viewed on a mobile device? Is the preheader text enticing? You’ll want to pay extra attention to the first impression your email makes on a mobile device and edit accordingly. Fortunately, any changes you make that work better on mobile are likely to work better on laptops and desktop computers, too. 3) Link placement: It’s generally been good advice to only have one call to action in an email. While you may want to repeat the placement of a link, the destination is the same throughout an email promotion. Just imagine big fingers trying to click on a small link on a tiny smartphone screen and the reason for careful link placement becomes clear. Make sure the link you want your subscriber to click is long enough and easily visible enough to be easy to use. On a similar note, you don’t want to place your call to action link too close to the bottom of your email where your unsubscribe link is or you risk accidental unsubscribes. 4) Page Design: It’s not enough to optimize your email design for email. Once your subscriber clicks through a link in your email to buy from your website, another element has been introduced: Is your website design mobile friendly? Unfortunately, some website designs look almost unreadable on a mobile device. This can be for layout and compatibility reasons but page load times can also be a major factor. If a mobile user is not on a Wifi connection, a web page that is not mobile optimized could load very slowly over devices relying on cell towers for connection to the Internet. If your page loads too slow on a mobile device, the odds of your subscriber waiting around for it to appear plummet dramatically. As part of the process to make your email marketing mobile friendly, make sure your sales funnel and website can process and order from a mobile device. The simpler the checkout process the better. If you can use ‘one click’ options and allow your subscriber to save their info in the order form and shopping cart to make filling out their payment information easier, that would go a long way. You may want to consider using Google Checkout, Paypal, or other processors that have mobile friendly shopping cart processes. Further, make sure that your call to action is easy to see and click on. The more obvious the better. Take cues from sites like Amazon.com that are already mobile friendly and see how your process compares. QR codes are just one mobile friendly feature that you can incorporate that makes responding to your marketing easy to use on phones and tablets. Remember, many people dislike entering text on their phones and any shortcut you can provide will likely boost conversions. It may sound daunting at first to make your email marketing mobile friendly. There is a silver lining and that is that multiple studies report that less than 40 percent of marketers have mobile friendly features as part of their process. By adopting these tips you can get an edge over your competition because your offers will be easy for mobile users to say ‘Yes’ to and for you to get the sale wherever they are and whatever they are doing. For more information on making your email marketing mobile friendly, visit http://www.emaildelivered.com/email-marketing-mobile-friendly . Remember to sign up for the FREE Email Delivered Pulse newsletter for articles, tips, and recommended resources for email marketers.